Chiropractic Center of New Britain 10 Cedar St. Since 1994, Dr. Francis Vesci has been passionate about helping families experience optimal health and wellness. He takes a structural approach to pain-free living, and his patients benefit through his customized treatment. 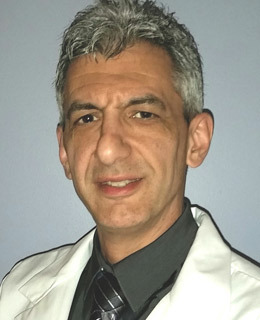 Dr. Francis Vesci, in practice since 1994, provides his patients with state-of-the-art chiropractic technology that’s designed to eliminate pain as quickly as possible. His customized care goes far beyond pain relief, though, and is geared toward structural change that can lead to optimal well-being. Through the use of computerized postural analysis and physiotherapy modalities such as ultrasound, soft tissue work and electrical stimulation, we can make a measurable difference in your ability to heal. One of the aspects of our practice that our patients love is our willingness to listen carefully to their health concerns. We value constructive feedback and encourage you to enter into a true partnership with us in helping to optimize your health. We’re never locked into a particular form of treatment and are always ready to modify our care to enhance your experience. The chiropractic care that we provide for our patients is compassionate, comfortable, convenient and customized. We’re known as the go-to practice in New Britain, and the positive outcomes we achieve justify our reputation. If you’re worried about your health or discouraged with a lingering condition, we are ready to help. We’d like to welcome you to our close-knit chiropractic family and see you get the results you deserve. Contact us for an appointment today! Your chiropractor New Britain accepts most insurance and provides free parking.